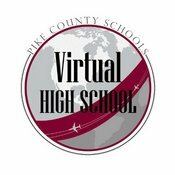 The Pike County School System is Pike County’s leader in bringing cutting-edge educational opportunities to its students. Pike County currently offers 9 dual enrollment programs. Of which, there are 8 that lead to Associate Degrees, including: Agriscience Technology, Arts with an emphasis in theatre and drama, Business and Finance, Exercise and Health, First in Flight and Leadership, Health Information Technology, Paralegal Studies, and STEM (high school version). These programs are offered free of charge to the students of the Pike County School System. These exciting programs are offered in cooperation with post-secondary partners, like: Troy University, Enterprise State Community College, and Wallace State Community College – Hanceville. In addition, Pike County offers a 5th – 8th grade STEM Academy – targeting select students, this program designed to deliver accelerated instruction in Science, Technology, Engineering, and Mathematics concepts, while cultivating interest in both post-secondary STEM education and STEM-related careers. These STEM Academy students participate in immersive STEM experiences at the U.S. Space and Rocket Center, the National Flight Academy, and others. With new academy options being developed periodically, the Pike County School System continues to develop progressive, challenging opportunities for advanced and career oriented education. The Pike County School System is dedicated to developing students with superior creativity and problem solving skills. Introduced in the fall of 2018, the Pike County School System introduced its first non-academy, dual enrollment, career tech programs, App Development (SWIFT) and IT Audit and Assurance – both offered in partnership with Enterprise State Community College. Pike County is dedicated to teaching practical job skills and promoting real world knowledge and experience. The goal is that Pike County students are prepared both college and career - providing students with industry related courses of study and offering avenues for academic and career instruction/certification. Pike County Schools - Excellence in Education! CLICK HERE to watch a brief overview of the Agriscience Technology Academy. CLICK HERE to watch a brief overview of the Arts (Theatre/Drama) Academy. CLICK HERE to watch a brief overview of the First in Flight (Aviation) Academy. CLICK HERE to watch a brief overview of the Business & Finance Academy. CLICK HERE to watch a brief overview of the STEM Academy.